Nowadays, searching a parking space is like playing the lottery, if you find a parking, you are lucky enough. Once you reach the place, next big challenge in front of you is to find a place for car, which takes quite long time. The tremendous growth in vehicles raised the huge problem for parking space since the number of parking lots and parking spaces remains same. Here, again a technology comes as a blessing for us, the Smart parking solution is exactly with you, which is your Smartphone having Parking Finder App. Yes, mobile apps have contributed here as well. A new trend or find a Parking Spot App Development with Augmented Reality (AR) is a big problem solver for car owner and drivers. The AR integrated with Parking finder app helps you to get real time view of the parking location with exact marking for the place.The trend has proven to be a great idea for new entrepreneurs who wanted to start a business with a mobile app. People like an easy, time saving and affordable solution for their problem and thus parking finder app development is getting a huge response and demand. This is a best-ever opportunity for building Owners, organizations and Investors for build their own parking finder app, and make a great business through it. Before starting to work on this startup idea, ensure that you are aware of the strategic approach and latest trends needed to build the best parking app. The app mainly focuses on two important components that are parking spot and driver and further includes the necessary steps like booking, searching, payment etc. These parking apps are some kind of a parking guide and navigation device for a driver. You can build your own navigation app like this which will show parking lot addresses with the number of free parking spots available at the current moment. This kind of parking finder apps development can also integrate a voice navigation system for more convenience. GPS app development will be used to enhance the functionality of the app. This set of parking finder apps lets you book parking spots beforehand, along with the navigation for the spot. In these parking apps, car number is automatically recorded in the database when the driver makes a payment through the app. Later the sensors will scan the number plate and gives chance to park only those who have made the payment. The implementation part for these apps can be tricky, but revenues through it can be much higher. Users download such Parking Finder App and register to it for placing the order by selecting convenient time. The key thing you have to focus on while building a parking spot finder app is the potential to find free parking spots in real-time. Do you think the idea will work for your startup? If yes, then don’t think twice to build a parking finder app that will bring a next huge success for you. All you need to do is, find appropriate sources to make the app all unique and impressive. prime necessity is to have an experienced and well-versed team of developers for your parking app Project. Excellent Webworld is one of the top mobile app development companies which have a great track of records for building unique apps like finding a parking spot app. The dedicated developers at Excellent Webworld are well practiced and trained for any kind of app development. Once you hire the developer's rest is our guarantee to bring a good revenue and success for you. Hybrid Mobile application development makes work very simple for the web developers as it's anything but difficult to assemble a single application which performs effectively on various platform, for example, iOS, Android and Windows with no additional effort. 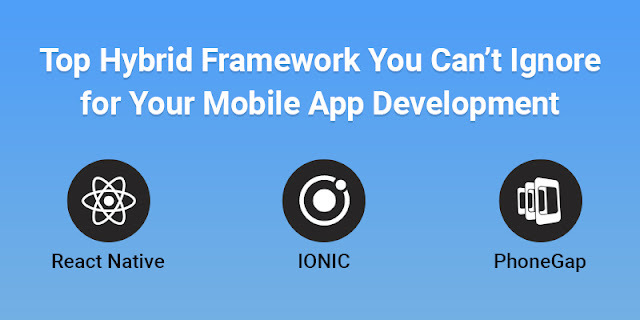 Likewise, there are so many advantages of the Hybrid Mobile App Frameworks which incorporates cost effective development, access to a wide scope of various hardware/software abilities and probability.